Happpppy Friday my friends! 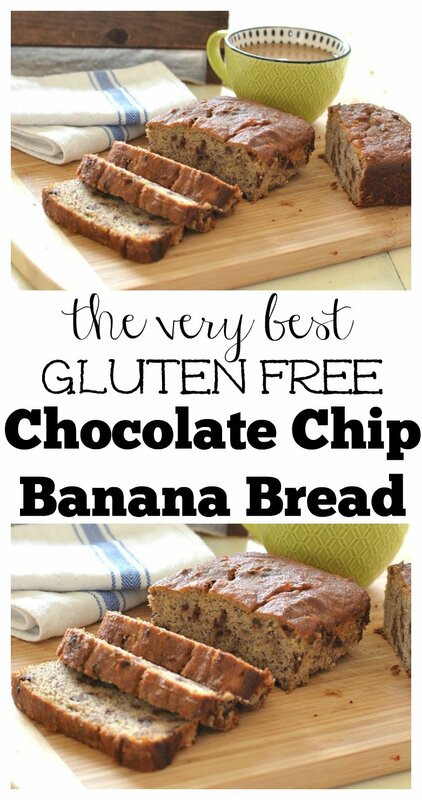 Today I’m so excited to be sharing the very best gluten free chocolate chip banana bread ever. Seriously guys, I’m not just saying that. This stuff is AMMMMMMMAAAAZZZZING. 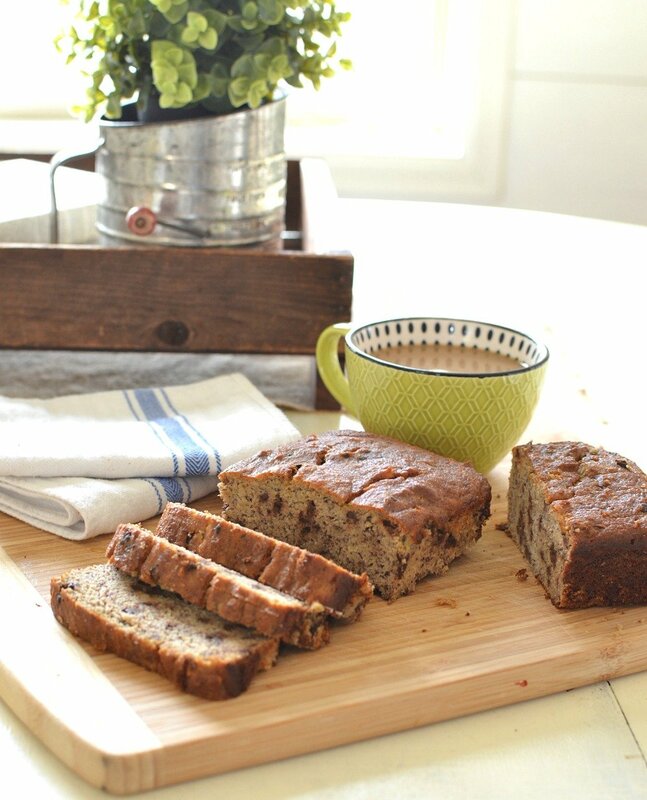 This is the most delicious banana bread I’ve ever had and it’s super easy to throw together. Everyone in our family absolutely loves it, even my kiddos go crazy for it. None of us are allergic to gluten, but my husband and I do try to eat gluten free when we can–we just feel better overall when we avoid it. But I will say we are super picky about gluten free food. It has to actually taste good for us to eat it more than once. I found this recipe years ago and I’ve adapted it over time, tweaking it here and there until it was perfect for our tastes. I’ve made this over and over and over again, it’s just that good. It’s super moist, sweet but not too sweet and perfect with a cup of hot coffee! 1/2 to 3/4 cup chocolate chips, depending on how sweet you want it. Preheat oven to 350 degrees F. Lightly grease a 9×5 loaf pan. Combine the bananas, eggs, vanilla, honey and melted butter. Mix on low for 2-3 minutes. In a separate bowl combine dry ingredients: almond flour, salt, and baking soda. Once combined, slowly add into wet ingredients until well blended. Once blended pour in chocolate chips. Bake for 60 to 65 minutes, until a toothpick inserted into center of the loaf comes out clean–sometimes this may take up to 70 minutes or so depending on your elevation. Then let bread cool in pan for 10 minutes before removing. I absolutely love baking and this is by far one of my favorite recipes. Plus I figure since I’m using almond flour instead of regular flour it’s at least somewhat healthy, right? And that means I can have two slices instead of just one. Maybe even a little smattering of butter on top. I think that sounds reasonable. Well friends, I hope you give this recipe a try and let me know how you like it! It’s really so easy to throw together. Gluten free or not, I have a good feeling you are going to LOVE it. Saving to bake later! Have a great weekend. You will love it. Thanks DJ! This sounds super yummy! I have some bananas that are just crying to be made into bread. Have you ever tried the recipe with regular flour? Wondering if it would be the same amount. I haven’t tried it with regular flour, but I’m sure it would work if you could figure out the conversion. It’s really so good though and you’d never guess it’s GF! I’m definitely making this today! I’m wondering if I can make it with coconut flour instead..? Yessssss! I hope you love it. I’ve never tried it with coconut flour, I’m not sure how that would work. But let me know if you do switch to coconut flour and how it is! My pin it for later button didn’t work on my iPhone for some reason, but I guess I will print it out 🙂 I just made my own almond flour yesterday with sliced blanched almonds in my blender and it turned out so good! Used it in a brownie recipe. Almond flour is sooo expensive! I made this for my family, they loved it! Thank you for sharing the recipe! It was so moist and yummy. It was plenty sweet with no added sugar! 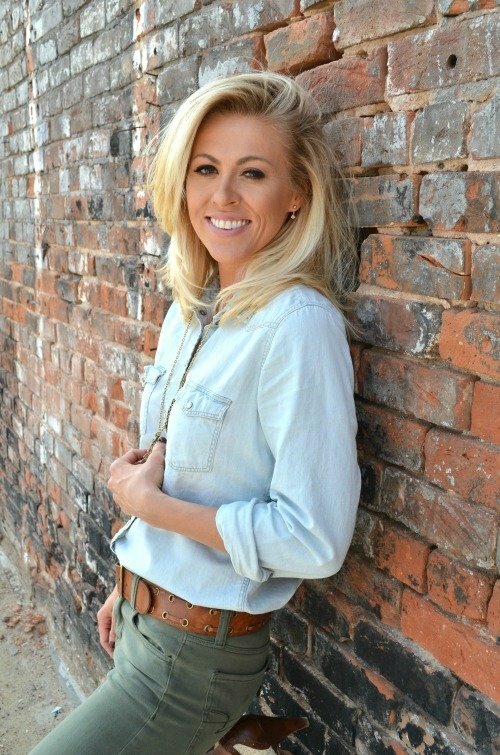 I follow you on IG and just started your blog, love your style. Oh yay!! I’m so happy to hear you made it and your family loved it. Thanks for letting me know Charlotte! I MUST HAVE DONE SOMETHING WRONG! I feel as if there’s a missing liquid. It was very crumbly but I put it in the pan and baked it anyway…it was a hot mess! Any ideas about what might have happened? I did use coconut flour instead of almond but can’t imagine that would have made a difference. Oh no! I’m sorry. My only guess would be that the coconut flour didn’t jive well with the recipe. I’ve never made it with coconut flour so I’m not sure how that would mix in. 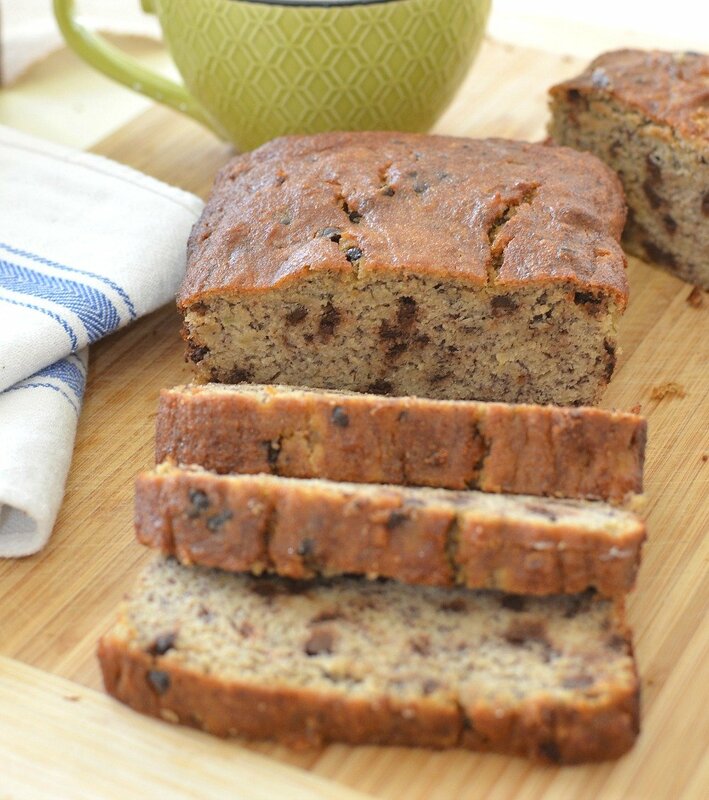 This banana bread is always super most when I make it, so I’ve never had that problem before! I’ve got this in the oven as we speak and my daiughter abd I can’t wait for it to be ready. Had to add some soft brown sugar and milk to the raw mixture as it was flaky and tasted awful (I swopped the flour for a gf dove farm mix) so I can only think that was the reason. Smells delicious cooking tho! This sounds delicious and I will definitely try it. Like you, I will opt for gluten-free when possible as long as it tastes good, and I love that this recipe has no added sugar! Thanks, Sarah. Mmmm do u know how many carbs this has?? I just found out I have gestational diabetes but it looks like something I probably could eat! trying this out this weekend – can’t wait! hope you liked it Kristin!